Dr. Betty Ehrlich has been at the helm of a thriving chiropractic and nutrition practice for over 25 years. She has worked with thousands of patients from southern California and around the country. 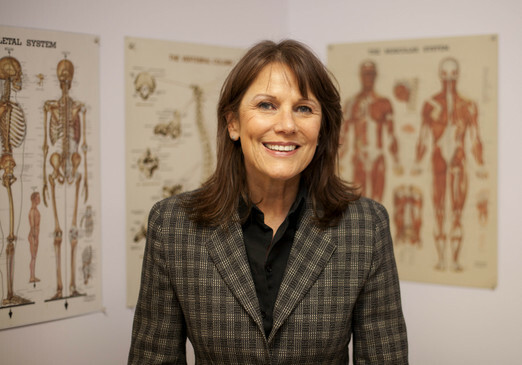 After relocating from New York City, Dr. Ehrlich continued her graduate studies at Pasadena College of Chiropractic and interned with several prominent west side doctors before starting her own practice. One of the main goals in her practice, which Dr. Ehrlich continually strives to achieve, has been to simply listen to her patients. By understanding what her patients want, she is able to tailor individual programs to suit specific patient's needs. Dr. Ehrlich continued her studies and was appointed as a Qualified Medical Examiner by the State of California. During this time she developed an interest in nutrition understanding it to be a way to go beyond structural therapy in a further effort to help her patients. She soon became a Diplomat in the American Chiropractic Board of Nutrition, and then acquired Certification in Clinical Nutrition by the IAACN, a multidiscipline national organization focusing on current clinical nutritional therapy and research. After a significant injury in an automobile accident as a young adult, Dr. Ehrlich became a chiropractor. During her recovery she developed a strong conviction that structural and functional injury chiropractic has an essential place within the realm of healthcare. Dr. Ehrlich works with several different health care providers in delivering the best treatment options for her patients. She treats various types of injuries such as those related to auto accidents, work, sports, and repetitive stress. For many patients, Dr. Ehrlich is their primary healthcare provider. This enables these patients to openly and confidently get straight- forward explanations of all their health issues, and in turn they are able to make well-informed decisions on even non-chiropractic issues. She has testified successfully as an expert witness in injury cases. She is also a popular guest speaker on a wide range of health and nutritional topics. She always has a way to clearly and simply explain even your most complex problems, so that you can understand and make informed decisions regarding your own health.